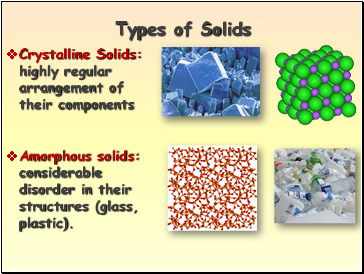 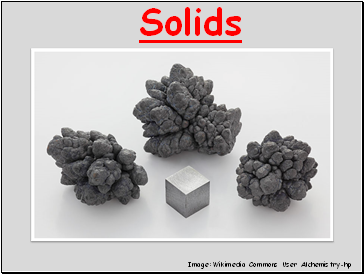 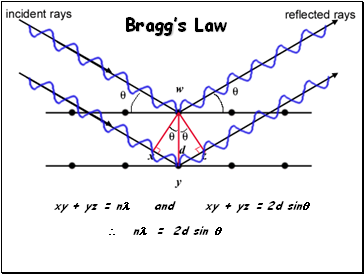 Amorphous solids: considerable disorder in their structures (glass, plastic). 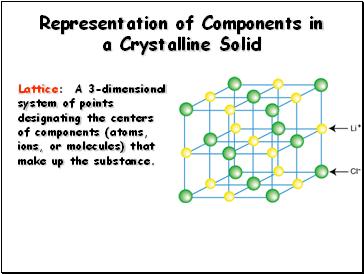 Lattice: A 3-dimensional system of points designating the centers of components (atoms, ions, or molecules) that make up the substance. 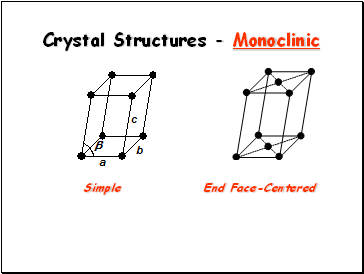 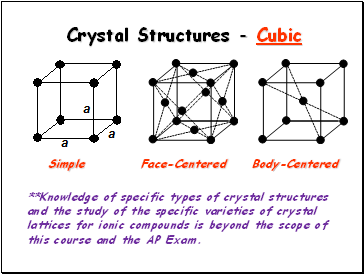 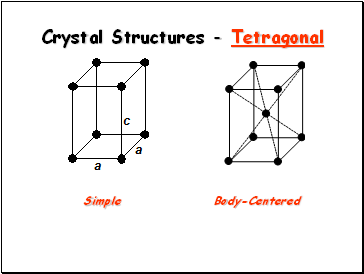 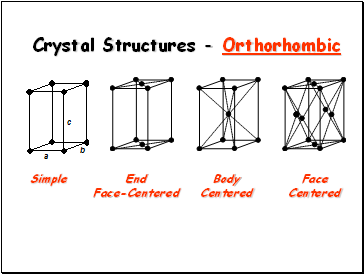 **Knowledge of specific types of crystal structures and the study of the specific varieties of crystal lattices for ionic compounds is beyond the scope of this course and the AP Exam. 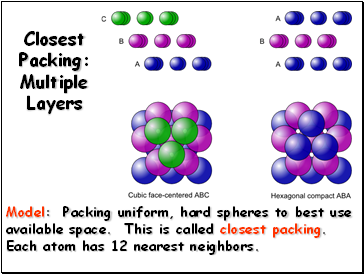 Model: Packing uniform, hard spheres to best use available space. 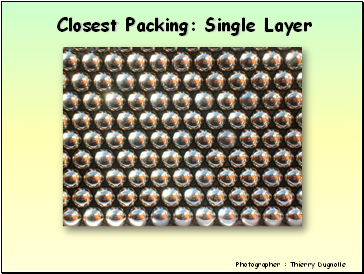 This is called closest packing. 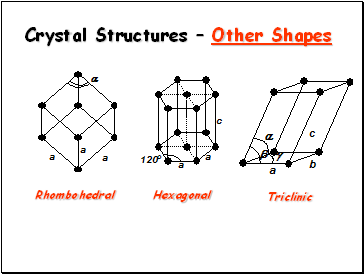 Each atom has 12 nearest neighbors. 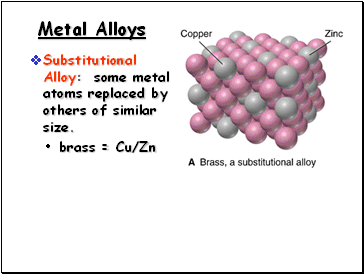 Substitutional Alloy: some metal atoms replaced by others of similar size. 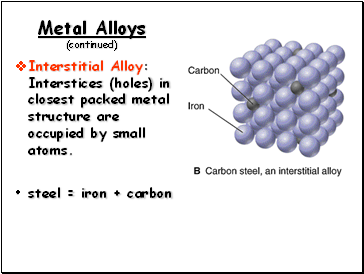 Interstitial Alloy: Interstices (holes) in closest packed metal structure are occupied by small atoms.